Brake light come on OK - so switch is good ? My hatch had the ESC coming on and staying lit, clearing after restart and randomly coming on. Had Free replace as it's a known defect and recall over here at least. I'd expect the same all over the world but the problem has not come back since. Dealer should be able to check if th ework has been done via vin. Contact Hyundai and check? Try another dealer? It pays to put in your location (at least country) and Model/year when setting up your account profile, especially if you want help. We are a world wide forum and vehicles vary by location and factory of manufacture. Brake light switch issue can be random so brake light coming on doesn't always mean it is ok. It maybe something else but that is the easiest and most likely cause. Sorry the model transitioned from series 1 (FD) to series 2 (GD) in 2012, so is it a series one or a series 2. Our Logo has a series 1 on the left and series 2 on the right. Yes the 50km thing is a bit odd. hopefully someone will have a brainwave. I had to do some homework. Sorry it was ESP off light was the brake switch related issue I had. So ESC, I don't know but there would be a few sensors tied into that. I would think a fault code scan whilst the error is displayed would be a start point. Interstingly we had a voluntary recall on the ESC module too over here end of 2010 to 2012 FD series. There is an obvious link somewhere, but just need someone to know the algorithm at 50 mph that throws it. If paying the £96 and problem i/d have they indicated the money will be offset towards any remedial action? Have you tried changing fuse to see if that cures it? Cheap option. 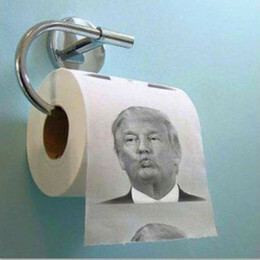 How many ply would you recommend? Personally I prefer the printed version. This sounds like a programme glitch. The 50 mph occurrence seems too precise to be a mechanical or intermittent device problem. Same verdict when you try to force the ESC to operate. The dealer who simply wants to read codes is a rip off merchant and hasn't, or isn't capable of, getting his head around this. I would try to find another repairer. It will require on-road testing. Have you tried driving after turning off ESC at startup? If you have sport mode, you need to press that button and the ESC button simultaneously. Could be a way of noting a problem or even induce a reset. Sorry cant be of more help. Lets see if @cruiserfied is about. He's our genius. Good on ya Dazz Now emerges all our resident shite stirrers . I note there is a clutch down switch that seems to work, but what tells the man gearbox that it is in neutral - presume it cannot just be the its not fully engaged ? The ISG used to always stop as soon as go into neutral - so is there a switch some else to tell when its in neutral rather that just no signal from a fully down clutch pedal ? Q. Is the ESC problem Rpm. related? In other words, does the light come on at 50mph in both 5th and 6th gear? Assuming its a 6 speed box. May be contradicted by a Brit owner, but clutch down switch is normally unrelated to neutral, eg. you can start in any gear. The box neutral switch is midway down the front of the box, it looks like an oil pressure switch. Neutral Gear Switch senses the driver′s intension to shift gear. When vehicle starts to move after standing for a while and vehicle speed does not reach 2Km/h, fuel quantity mapping value at neutral gear is adopted to vehicle. Moreover, this phenomenon is more serious when vehicle requires high power generation such as the situation when vehicle is on the slope. To cope with this problem, neutral gear switch which senses driver′s intension of starting to move is applied. And fuel injection quantity mapping value suitable for 1st gear is adopted immediately. This is the bit I don't get, if the ISG and cruise control might be explained by a bad neutral switch and info about the state of the transmission, whats the link to the ESC and 50 mph ? I think you only have one component / programme causing the drama. the 'ESC off' trigger must originate from the gearbox output sensor ( its a hall effect sensor on the gearbox above the driveshafts.) May be interesting to disconnect it. They are usually trouble free, but could be doing its own thing, or the ECU is using the signal to do same. Vehicle Speed Sensor (VSS) is hall sensor type and senses the rotating speed of differential gear mounted on transaxle. Comparing engine speed with vehicle speed calculated based on vehicle speed sensor signal, ECM recognizes engaged gear. And based on the information about engaged gear, ECM performs optimum fuel injection quantity correction. VSS signal is also used in speed meter of cluster, aircon control module, BCM, etc. Charlie, This constant 50mph has me thinking that the problem lies in the area where you set a speed. The cruise control. Have a think around that area. Could be a faulty module or as simple as a sticky button. Nice lateral thinking Gary. Thanks for your input! I wasn't wrapped in that other thread, but this is a good one. The job of the VSS does seem to be a common denominator based of how you describe. I had naively assumed that if my speedo was working then it must be OK, without knowing the detail of what else it does, like which gear. Can you help me ID where that sensor is, I had a quick sniff around for the neutral switch last night in the bay based on what you said, but found it hard to locate and limited pics on-line. Do you have pics handy about the VSS location, so I don't mess with the wrong plug ? I guess the sensor cannot be totally out as presume this would reg as a perm fault even at low speed ? Sorry just remembered its a GD auto and my manual boxes are FD. Crikey I can just about see a ARB and steering rack to figure out the intermidiate connector location - what is that BTW ? The top Hall effect unit used to be a solid speedo cable back in the good old days. Don't ignore the possible 50mph Cruise setting. If CC is optional in the British GDs, I suspect there will be a module that can be disconnected. Just checked, switches go directly to the ECU, however , several listed CC faults are due to a faulty speed sensor. Have been following this post , sometimes re-reading as well and thinking , canal, far-canal. Looked at a FD yesterday as replacement for yougest's dead 323. ESP OFF was illuminated, pressed the switch a couple of times, still illuminated. Car supposedly had a 100 point safety check.